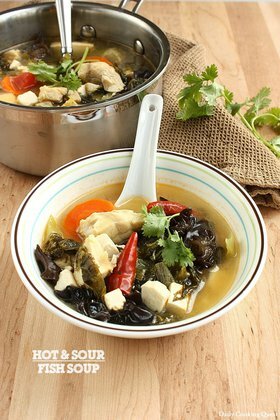 Heat oil in a soup pot and sauté garlic and Tianjin preserved vegetables until fragrant. Pour water and bring to a boil. Add the fish balls and bring the soup to a boil one more time. Adjust with salt if needed. Turn off the heat and set aside. Remove the seeds from the Thai chilies and finely chopped into thin slices. 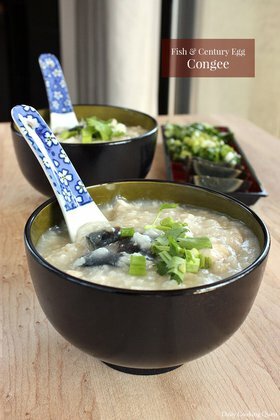 In a small bowl, mix together soy sauce and chopped chilies. 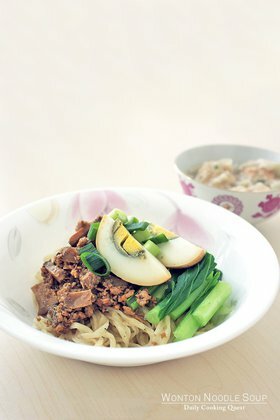 Divide flat rice noodles into 4 serving bowls. 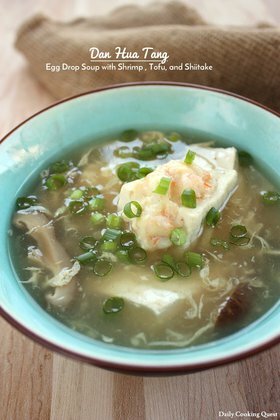 Add some fish balls and pour the soup so the rice noodles is completely submerged by the soup. Add a dash of ground white pepper and a couple drop of sesame oil. Top with some chopped scallions and serve with the chili soy sauce. Hello Anita, I bought a pack of ready-made lobster balls from an Asian Market in San Diego because it brought back memories of how I enjoyed fish ball soup in my childhood days in the Philippines. But now that I have the lobster balls I did not really know how to prepare it. I am glad I saw your recipe. It worked just as well with my lobster balls. Thanks for posting this recipe. 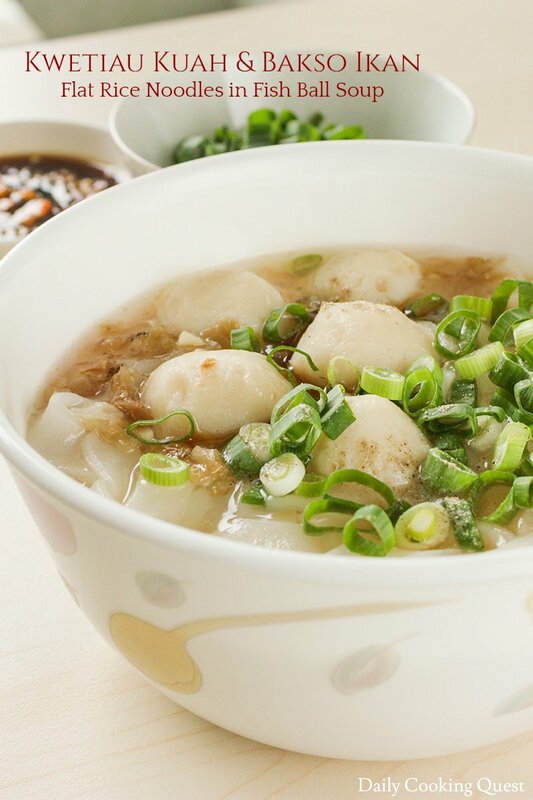 I will be enjoying fish balls again many more times and share it with my family. I used to eat this soup (w/noodles) for breakfast every day when I taught English in Nong Kai in the NE of Thailand. Tasty and filling.